Will Chippy lose its loos? You may have noticed that the Town Hall public toilets have been closed recently, and there’s been no sign of them reopening. 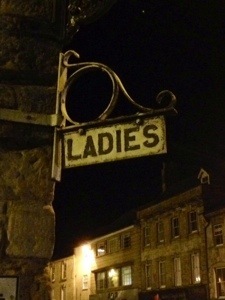 At last night’s town council meeting, the loos were the subject of some animated debate. It turns out that the toilets – which were expensively renovated only a couple of years ago – have been flooding, and the cause of this has not been discovered… so they have been closed until a cause – and solution – is found. The town council owns the town hall building, and leases the toilet sections to West Oxfordshire District Council. The concern is now that WODC could decide that the loos are a liability, and stop leasing them. This in turn would mean either the permanent loss of town centre facilities, or a considerable expense being created for the town council if they decided to run the loos themselves. There are other problems associated with the toilets, too. Already, some local pubs are seeing non-paying customers come in to use their toilets; and there is also concern about Nash’s cafe. Nash’s does not have an on-site customer toilet, and the town councillors have said that permission for the cafe was granted because of the proximity of town centre toilets to it; if those toilets closed permanently, this might have implications for the cafe, too. As Councillor Charles Watson stated at the council meeting, WODC has “no obligation” or statutory duty to provide the toilets, so, as the Mayor said, “We [the town council] do have, possibly, an enormous expense” to consider in taking over the operation of the loos. So what next? The town council has arranged a meeting with WODC on Wednesday 22 January to find out what the future of the town toilets is. There’s a chance the town council may have to spend more than a penny to save them. 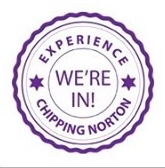 This entry was posted in local services, news and tagged cafes, Chipping Norton Town Council, expense, loos, pubs, toilets, Town Hall, West Oxfordshire District Council, WODC. Bookmark the permalink. 1 Response to Will Chippy lose its loos?